I heard this song and instantly thought perfect itg simfile. Since most songs out there with stream are just that...stream. i tried to get a bit creative with the streamy parts in the chart. it's nothing to spectacular but it's better than just hearing dud dud dud dud dud dud 16th's over and over again. As for my simfile pack these are all the charts i've made so far. 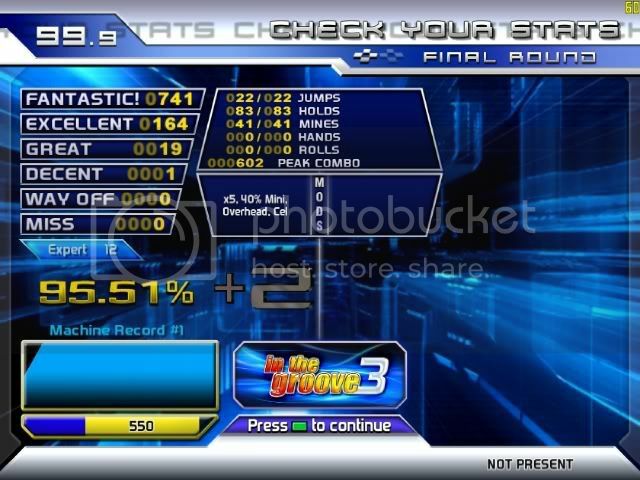 my very first chart was Move Your Body. You'll be able to see how i've progressed in my chart making skills by playing all the songs...but please let me know what you think. Some of the songs in the pack are just remakes of songs that i thought were great but had terrible charts. From now on i'm going to make all charts to the best of my ability instead of just making myself finish it like some of the songs in the pack. Please enjoy and let me know what you think of the files...thanks everyone for your support!!! The 24ths aren't in the music so they bothered me...but the VerTex^2 speed trick was cool.